Good news this weekend from south-eastern Diyarbakir. The municipality joined with an Alevi organisation in a ceremony for the opening of a cemevi, a prayer house for Alevis (a liberal path in Islam). A brand new, multipurpose building where the (small) Alevi community of Diyarbakir can come together to celebrate their religion. Still, I have some reservations too. Because in Turkey, religions other than the state version of Sunni Islam depend on the goodwill of local authorities to practice their religion freely. Turkey is a secular country, but not in the sense that religion and the state are strictly separated. On the contrary: religion and the state are very closely intertwined. Religious life is controlled by Diyanet, the state directorate for religious affairs. Their version of Sunni Islam is taught in schools (mandatory) and in all mosques, all imams are civil servants educated in state schools and universities, and the highest religious authority is also a public servant. Diyanet was founded right after the foundation of the Republic, to protect the ‘secular’ state against the power of religion. Diyanet has in this way always contributed to protecting the unity of the Turkish nation state. Everybody was proclaimed to be a Turk (even if you were Arab, Greek, Kurd, Armenian, Laz, or whichever other ethnicity), and everybody was a Muslim following the state religion. The only exception was made for ‘non Muslim minorities’, as mentioned in the Treaty of Lausanne in 1923: Greeks, Armenians and Jews were entitled to practice their religion, have their own schools and other facilities. Muslim minorities who were not Turks and/or not Sunni Muslims, like Kurds and Alevis, were not recognised as minorities. In practice this meant they also didn’t get any rights to their own religious or ethnic identity. It is not surprising that it is in Diyarbakir that a cemevi is now being opened. The municipality, ruled by pro-Kurdish party BDP, knows what it’s like when your identity is being denied. Osman Baydemir, the mayor of Diyarbakir, is pretty determined to make his city a place where everybody can be himself – he referred to that also in his opening speech at a conference about the history of the Diyarbakir region which I recently visited. He had already mentioned the opening of the cemevi at the conference, and he also expressed his wish to make the city more multi-religious, as it used to be in pre-Republic times, when for example large groups of Christian Armenians were living there. In most regions of Turkey, Alevis don’t get their right to open a cemevi. On the contrary even: the AKP government is known for building mosques in predominantly Alevi regions, like the province of Dersim/Tunceli. That’s not the only problem Alevis have in Turkey: their children still have to follow the mandatory religious classes even though they teach nothing about their religion, and despite a ruling of the European Court of Human Rights – read more about that here. I admire the efforts of Baydemir very much. He shows that a suppressed people like the Kurds who get some power, are able to look beyond the interests of their own group, and are eager to give others the rights they are also denied. But he too has to act within the limits of the state, like with the cemevi: it’s officially a cultural centre, not a house of worship. If – which is pretty theoretical at the moment, but never mind about that now – Armenians decide to settle in the region again, would it be possible to re-open one of their churches for religious ceremonies? In theory, maybe, but in practice? In Diyarbakir they would have the support of the municipality, but how about other regions of the country? Imagine Greeks re-settling in the north of Turkey, known for being pretty nationalist. Would they get support from nationalist mayors to experience their religion the way they want, and to re-open their confiscated and abandoned houses of worship? The opening of the cemevi in Diyarbakir shows the deeply rooted problem that Turkey has with religious freedom. No kind-hearted mayor, no municipal goodwill should be needed to settle somewhere as a religious group. What is needed is a solid law that guarantees the freedom of religion. So that all groups, whether they are Alevi, Greek, Armenian, (or Dutch Christian, for that matter) or whichever other religious identity, can just open a house of prayer if they feel a need for it. *) This small paragraph was added after the comment underneath of Theoldtturk, since I don’t want people to think that the cemevi in Diyarbakir is the first in Turkey and you could indeed get that impression. I was recently chatting with a person of Alevi descent and she was kind enough to explain the slight difference between Alevi’ism and Shia’ism (which is prevalent in Pakistan, my home country). What I understood from her explanation was that Alevi’ism is an off shoot of Shia’ism but is heavily influenced by Christian spiritual explanations of Father/Son/Holy Spirit (in Alevi faith Allah/Muhammad/Ali, respectively). In my opinion, Alevi’ism can be described as a “cult” when you pitch it against Sunnism and Shiaism, with a comparatively smaller following. In many Sunni countries, even Shia studies are limited to homes and camis, just due to logistics that there is a Sunni majority in schools and it doesn’t make sense to open classes for a few Shia students. In Pakistan for instance, my Shia class mates had no problems studying the general islamic history with us, even learning Quranic verses. Personally, I was thinking of this as a new emerging instance of garnering religious sympathy for political gains as so far no one had problems with being Alevi in Turkey, until now. Reading your article is reports is expanding my understanding of this issue. If you read this post, you get impresion that there is only one cemevi, nor any church or synagogue in Turkey. There are thousands of cemevis and many churches and synagogues in the country. That’s true that cemevi’s statutes are not as a worship house, but a cultural organization, like many other Sunni denominations tekke’s or Sufi and nakshibendi orders. In my opinion cemevi isnt an apart worship place because, alevi’s can worship in mosques as well. So cemevis are complimentary such as tekke’s which are officially forbidden, but they operate as cultural centers. I am pro freedom of religion, but we have to give that freedom not just to minorities, but to the whole country. So here is the same story…..
Theoldtturk, thanks for comment! Sorry, I didn’t mean to imply that the cemevi in Diyarbakir is the first in the country, good that you mention it. But there is no legal structure to protect the rights of Alevis to have their own prayer houses. If you click the links, you get to previous writings in which churches are handled: yes there are a lot, but mostly confiscated by the state and not open for religious service. Synagogues the same. The Jewish and Christian communities are very small. Christian churches get government funding in Europe? Very untrue – I don’t know the rules in every country, but European secularism in general means that the state stays out of religion and religion stays out of the state. So there is no government funding for any religious group, also not for churches. There has been debate about it when the first Turkish migrants came to the Netherlands: they wanted funds from the government to open mosques, but the government refused. The rule is: you can open a house of prayer, but you will have to find your own funding. No priest in the Netherlands is paid by the state. “Turkey is a secular country, but not in the sense that religion and the state are strictly separated.” – Therefore not secular. There is a state religion. Frederike, great post – thanks for this. I completely agree with your observations about Baydemir. He was heavily involved in reopening the Armenian church in late October in Diyarbakir, and it was impressive to see him operating with the local community. One thing I will say, though, is that in some European states (Germany comes to mind) there are automatic line-item taxes that go to fund one’s declared sect of worship. I’m fuzzy on the details, but check out this book. It’s a little dated now, but it has some good legal analyses of the ingrained Christian traditions of three large EU states. http://www.amazon.com/Muslims-Britain-Cambridge-Religion-Politics/dp/0521535395 Never mind the horrid review… it’s dry but quite good. 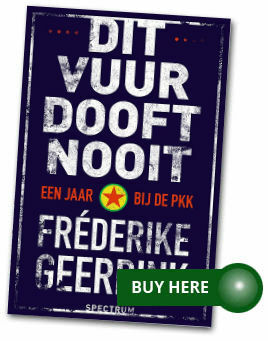 Frederike, your anti-sunni rhetoric about sunnis are supported by state is wrong.In 1920s sunni religious properties (vakif) confiscated by state and sold for economic needs for young republic,in exchange state started to pay imam salaries.Even sunnis had to bought their own mosques from state.State did not confiscated alevi properties, christian religious properties had been protected by lozan treaty.Sunnis had religious properties to pay imam salaries or needs of mosques at ottoman times as vatican.If state cut funding imams, sunnis will demand their properties back.And according to wikileaks armenia gave money to pkk.So Baydemir s love for armenians is understandable. 3. using wiki as a source to question Baydemirs intentions, is filthy, and it can be considered anti-Armenian rhetoric. Could you please explain how ? And even though you are right does it render Truth’s comment meaningless. On the other hand let me tell you that the information is given by Truth renders your article meaningless. Could it be why you dodge it by a controversial response about Losan-treaty ?. I’m an Alevi person. I would like to learn about the Dutch/European attitudes about Alevi religion in their own country. How do Dutch people view Alevis? Do they know them? Could you tell me a few lines about it? I wonder this issue as an Alevi person. I hear some people in Europe saying if all of Turkey was Alevi, Turkey would be accepted to European Union more easily.